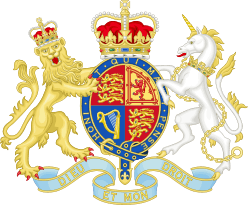 The United Kingdom budget is an annual budget set by HM Treasury for the revenues to be gathered by HM Revenue and Customs and the expenditures of the public sector, in compliance with government policy. Budgets are usually set once every year and are announced in the House of Commons by the Chancellor of the Exchequer. The latest budget was presented on Wednesday 16th March 2016. From 2017 the United Kingdom budget will take place in Autumn in order to allow major tax changes to occur annually, well before the start of the fiscal year. The UK fiscal year — termed the "financial year", ends on 31 March of the following calendar year. Thus, the UK budget for financial year 2011 would cover the period from 1 April 2011 to 31 March 2012 and is often referred to as 2011–12. The budget is usually released in March, less than one month before the beginning of the new fiscal year. Parliament is not expected to take action on a budget for the fiscal year until the summer, several months after the start of the fiscal year. For that reason, Parliament typically passes a "Vote on Account" in early spring that provides continuity of funding into the new fiscal year, up until the point that the new budget is enacted. The spending authorized in the Vote on Account is normally 45% of the amounts already authorized in the current fiscal year, taking into account the Main Estimates and any revised or Supplementary Estimates already approved by Parliament. Legislative action on the proposed budget generally aligns with the executive's original budget request, since the Prime Minister's cabinet tends to exert significant control over Parliament (the Prime Minister must have a majority in the House of Commons to retain power). ↑ "[ARCHIVED CONTENT] PESA 2007". Hm-treasury.gov.uk. Archived from the original on 10 September 2008. Retrieved 1 April 2010. ↑ "Central Government Supply Estimates 2012–13; Vote on Account, HC 1756" (PDF). February 2012. p. 3. Archived from the original (PDF) on 10 February 2014. ↑ "Central Government Supply Estimates (2011–12): Main Supply Estimates" (PDF). 26 April 2011. Archived from the original (PDF) on 10 February 2014.